This saved me from having to replace a whole household full of carpet. Very satisfied. We just arrived home. You guys are miracle workers! I don't think I'm even going to have to launder my clothes. Everything looks perfect. You can use me as a reference anytime! We were in Michigan when our neighbor called to say our house was filled with mold: furniture, decorative pillows, even my shoes. I contacted O2 Wizard. They were there in two hours; my neighbor let them in. They started their process the next day! When we returned to Florida in about five days, there was no sign of mold anywhere! Kimi called me every day with an update on their progress. She sent both before and after pictures. They were truly miracle workers! Hi Kimi, you all had done our house last year in South Daytona (Palm Grove). We were really happy with the results! It was the roach infested, tobacco damaged, cat pee house. Anyway, my friend has issues with a musty smell that all those 100 yr old houses have. Send me your website so I can forward it to him. I had been planning to use the Mold/Mildew company for some time and never " got around to it". One day on my way to a meeting I saw their truck. I almost ran them down to go get them. Kim and Ken gave a talk at the meeting and I asked them to come by and make appointments to do the house and office. Now we are very clean people but live in a house that is over 100 years old and an office that is 40 years old. Both had roof problems following the hurricaines ten years ago plus daily Florida humid life.The worst problem was that when we took the Christmas ornaments and trees down from the attic would feel like my throat had been sliced and my face and hands wouldburn. It was better that years ago - then it would put me in bed for weeks. Kim and Ken made the process very simple. Both places smelled so fresh and after 3 months they still have that fresh fragrance. And noone ever told us our place "smelled". We went to great lenghts to keep them clean. THEMOST IMPORTANT PART is when we took the Christmas stuff down and put it all up - no sore throat or burning skin - at all! I am totally amazed! I highly recommend them - and my patients that have used them are very happy also. They can do cars too. Please call them!!! You will be healthier! 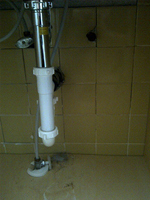 When a rental house flooded from a broken water pipe, I thought all would be well after the water extractors and de-humidifiers were removed. 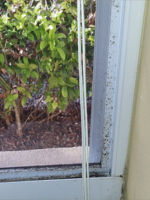 I was wrong, the smell of mildew quickly took over and I really did not know what to do. 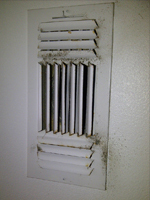 The odor of mold and mildew was very likely unhealthy and got worse each day. The property could not be rented with that smell. I saw your brochure in a real estate office and I am very grateful that I called. The overwhelming smell of mildew after your machines ran for a day is gone now. I don't know exactly how those machines work but I do know that potentially harmful odors in the home have disappeared. In order to insure the safety of the air in the home I would like to ask you to give me a price on your annual air treatment service as there is still some dampness in the carpet padding and I am afraid it may get mildewed over time. I don't want to take a chance on tenant complaints due to air quality after the flood. Again I wish to thank you for your prompt and most effective service. Not many people know how easy it is to remove odors from a home with those powerful machines. I certainly will not hesitate to tell others of my experience. Please get in touch regarding the annual service plan at your convenience. I have an older double wide mobile home on Crescent Lake surrounded by lots of trees. I had an out of control problem with a variety of roaches, spiders and moths that settled in my pantry. The exterminators were never able to eliminate the infestation. O2 Wizard was able finally solve the problem. I also have a spare bedroom that holds generations of family memorabilia. I rarely went into this room because of the musty smell was overwhelming. Now, the room and its contents including photo albums smell as fresh as the outdoors. 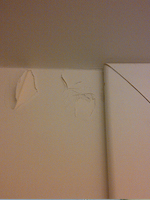 I was so happy with the service; I have O2 Wizard treat my rental property between tenants. I highly recommend them. I just wanted to take a moment to let you know that we were very happy with the results that your O2 machine did to our rental property on North Street. As you know that house was as bad as it gets, the former tenants had dogs and cats and the smell permeated the wooden floors! After your treatment the house smelt like the beach after a rainstorm; amazing. We’ll certainly use your service again and tell others. 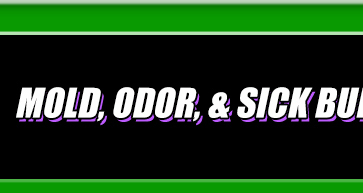 “The odor from the treatment is long gone and my car smells fresh and new!" Ellen Darden, Realtor, Watson Realty Corp. Thank you O2 Wizard for treating our home. A nice surprise was how it helped our cats. We replaced all our carpeting with laminate flooring since our kitty's got sick on a regular basis. Since your service, this rarely happens. We should have done this sooner! the morning after I went back to my condo!! I would recommend everyone do this.. everyone!! Thank you both again soooo very much!!! 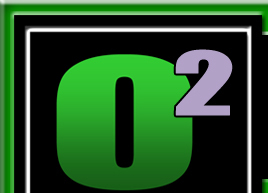 O2 Wizard is Your Indoor Air Quality Solution. Our process is FDA approved. 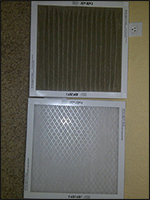 Contact us today for Your FREE Indoor Air inspection and evaluation.